ATLANTA — Justin Thomas is one of three Americans who will make his Ryder Cup debut, even though he doesn't seem like a rookie. He already has a major. He won the FedEx Cup last year. He has reached No. 1 in the world. And this won't be his first Ryder Cup, anyway. "I was with my dad when he was working for the PGA," Thomas said of the 2008 matches at Valhalla, when he was 15. "I played in the Junior Ryder Cup when it was at Celtic Manor. So I've been to three of them. I know how crazy it is." He also knows it doesn't really count until he gets to Le Golf National outside Paris at the end of the month. Thomas is the latest American who made his professional team debut in the Presidents Cup, and now gets to experience playing a Ryder Cup that contains more energy, more volume, more nerves, more everything. And away from home, no less. "It's going to be a lot different," Thomas said. "Not even close." He plans to rely on his U.S. teammates, especially those who have gone through the change from starting in the Presidents Cup and going to the Ryder Cup the following year. One of those teammates he knows quite well. Jordan Spieth made his team debut in the 2013 Presidents Cup, and then went to Gleneagles the next year. "It helped a little bit, but not much," Spieth said. "That first tee-shot feel at the Ryder Cup for an away game made the Presidents Cup look like nothing else. And maybe it was the away game." Steve Stricker, Hunter Mahan, Webb Simpson and Fred Funk also had nothing but Presidents Cup experience before their first matches against Europe. Thomas is the most accomplished of that lot, and Spieth says he will have another element in his favor. "This team and the guys around us are going to be a different feel from right this very minute until we hit that first tee shot," Spieth said. "I felt like I was in a tryout every practice round (in 2014). It didn't feel like there was a camaraderie like there is now." 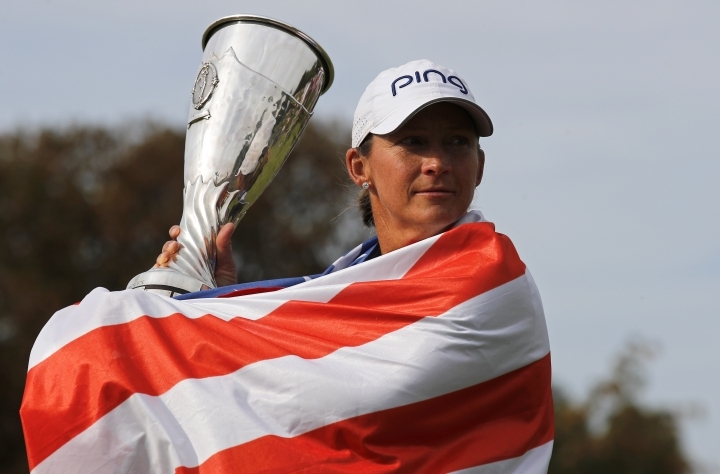 Angela Stanford's victory in the Evian Championship made it six straight years that Americans have won at least one major on the LPGA Tour. There's still a long way to go to match the record of 71 consecutive years of Americans winning a major. Then again, that was when it was nearly exclusively an American tour. The LPGA Tour was way out front in being the first golf circuit to attract the best from around the world, and it's reflected in its major championships. From the first major in 1930 (Women's Western Open) through 2000, Americans won 90 percent of the 207 majors played in women's golf. 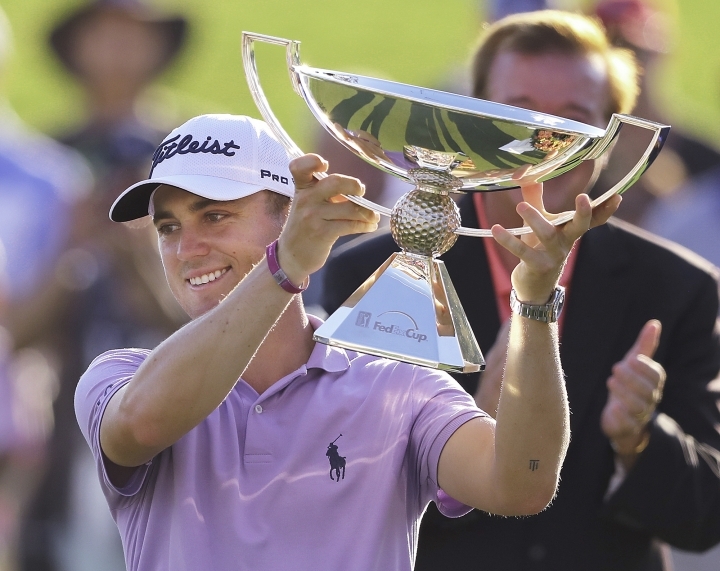 Since then, Americans have won just 23 percent of the 78 majors. Here's one other way to look at the change. For the first 71 years of LPGA majors through 2000, champions came from 10 countries outside the United States. Australia had six titles (three each by Jan Stephenson and Karrie Webb), followed by England with five and Sweden with four. Since 2001, major champions have come from 13 countries. South Korea leads the way with 26 majors, followed by the United States at 18 and Sweden with 11. Ariya Jutanugarn left France with at least one trophy. The No. 1 player in women's golf captured the Annika Major Award for having the best record among the five major champions this year on the LPGA Tour. Players have to win a major, and then receive points based on finishes in the top 10. Along with winning the U.S. Women's Open, Jutanugarn tied for fourth at the ANA Inspiration and tied for fourth at the Women's British Open. Jutanugarn and ANA Inspiration winner Pernilla Lindberg were the only major champions this year to make the cut in all of them, though Lindberg did not have another major finish in the top 20. Women's PGA winner Sung Hyun Park missed the cut in two majors and tied for ninth in the ANA Inspiration, while Women's British Open champion Georgia Hall missed the cut at the ANA Inspiration and had no other top 10s. Angela Stanford, who won the Evian Championship for her first major, also tied for 10th at the U.S. Women's Open. The fifth version of the Web.com Tour Finals is providing plenty of feel-good moments, first for Hunter Mahan, then for Sangmoon Bae. Mahan, a three-time Ryder Cup player, earned his full card with a tie for second in the DAP Championship at Canterbury. One week later, Bae returns to the PGA Tour after missing two seasons because of mandatory military service in South Korea. Bae earned nearly $2.6 million in 2015, reached the Tour Championship to be exempt for three of the majors in 2016 and played in the Presidents Cup before a home crowd in South Korea. And then he was off to the military after an unsuccessful bid for a waiver. The re-entry to the world of golf didn't go according to plan. He made only five cuts on the PGA Tour and wound up at Web.com Tour Finals. But after a tie for sixth at the DAP Championship, he rolled in a 5-foot birdie putt to win the Boise Open and secure his card. "After military service, it means a lot," Bae said. "I struggle all year after discharge from the Army. I feel like I'm back, so I could play well in the future." Jordan Spieth wasn't the only player who violated the PGA Tour policy of playing 25 events or adding a tournament he hasn't played in the last four years. Ian Poulter came up short, all because of an unexpected occurrence: He won. Poulter's victory in the Houston Open made him eligible for the Masters and ultimately the other three majors, along with a World Golf Championship. It also put the Ryder Cup front and center, and Poulter spent his summer playing in Europe to beef up his case to be on the team. He played 20 times on the PGA Tour this season. Andy Pazder, the tour's chief of operations, said he has met with Poulter and has figured out a solution. Pazder also said the tour has reached a resolution with Spieth, who missed out on his 25th event by not qualifying for the Tour Championship. Without mentioning details because the tour doesn't disclose punishment, Pazder said it would be a "win for tournaments, fans and golf in general." Even before he didn't make it to East Lake, Spieth had been contemplating playing two PGA Tour events in the fall. U.S. Open and PGA champion Brooks Koepka is staying an extra week in Europe after the Ryder Cup to play the Dunhill Links Championship in Scotland. Koepka last played the tournament in 2015 with his father, Bob. He was runner-up to Thorbjorn Olesen. Also playing the Dunhill is Tony Finau. ... Only eight players in the Tour Championship were at East Lake in 2013 the last time Tiger Woods played. ... Beau Welling, the golf course architect for Tiger Woods Design, has been elected as an at-large board director to the World Curling Federation. ... Paul Broadhurst has five victories on the PGA Tour Champions, all of them coming from behind in the final round. ... With Angela Stanford winning the Evian Championship, the LPGA Tour has not had a player win multiple majors since Inbee Park in 2015. This is the fourth time in the last six years that Gary Woodland started the FedEx Cup playoffs outside the top 30 and made it to the Tour Championship. "He brings so much greatness to the game of golf, and he is the one person that probably sticks his nose a little outside the golfing environment and reaches a lot of people. It will be exciting in France to see him there." — European captain Thomas Bjorn on the return of Tiger Woods to the Ryder Cup.